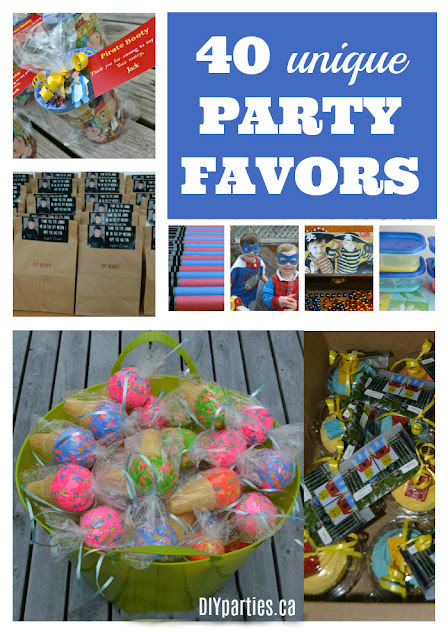 Every party needs a simple party favor / loot bag / goodie bag. It's always fun for guests to leave with something that lets them know that you were happy that they came to the party. Today, I am sharing a simple idea... and free printable tags. 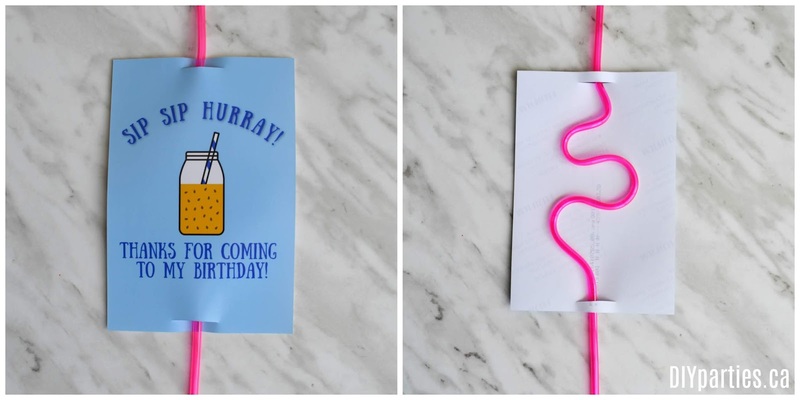 How cute are these tags with crazy straws inserted into them? 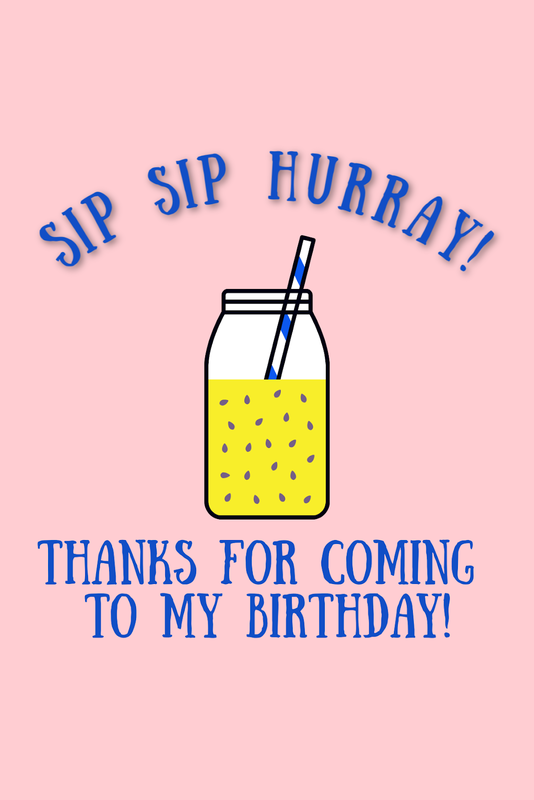 They say, "Sip Sip Hurray! 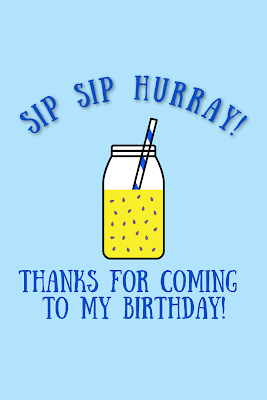 Thanks for coming to my birthday!" To download the tags I designed (in blue or pink): click on the tag you want to use (below), right-click, save it to your computer, and print it like a regular 4x6 photo. 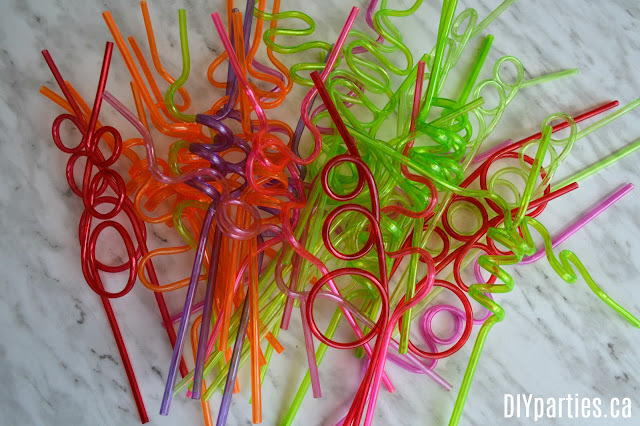 You can use plastic straws, or you can opt for reusable straws if you want a more environmentally friendly option. 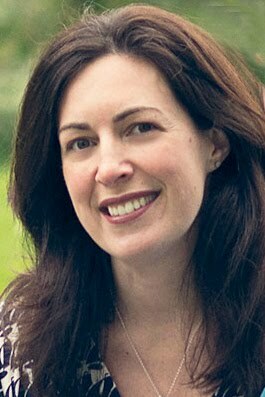 Once you have the tags printed, cut slits in the tops and bottoms of the tags with an x-acto knife, and insert the straws. Isn't this a cute and simple party favor idea? 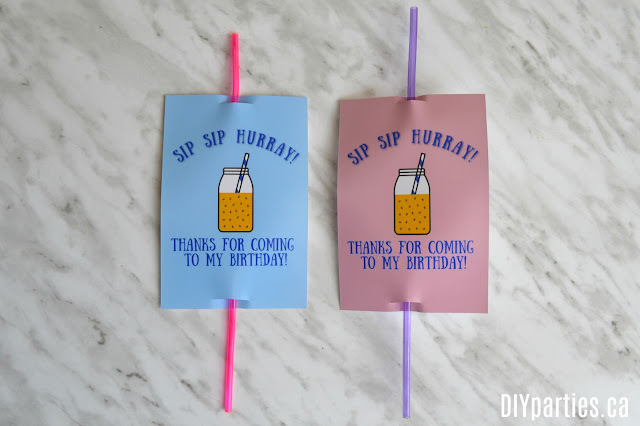 It would be great for a summer party, but it really works with any party theme. 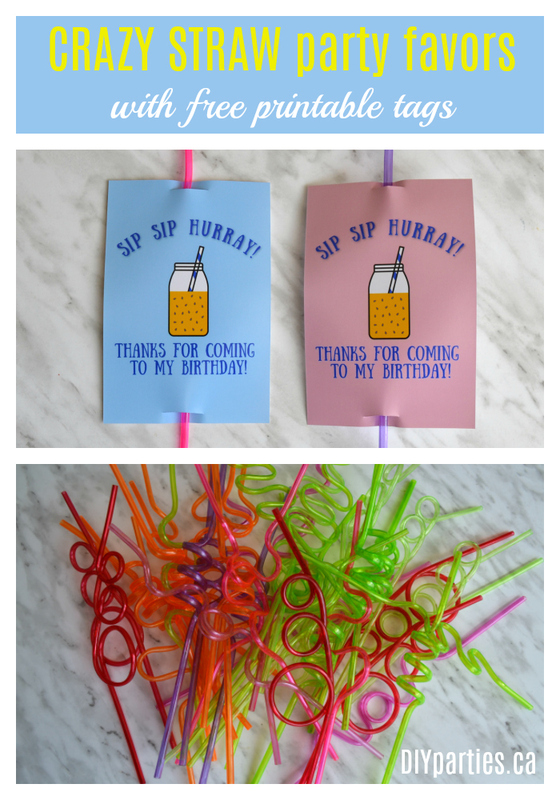 I love an easy and inexpensive party favor idea, don't you?